We offer Cage less Day-care with around the clock supervision. 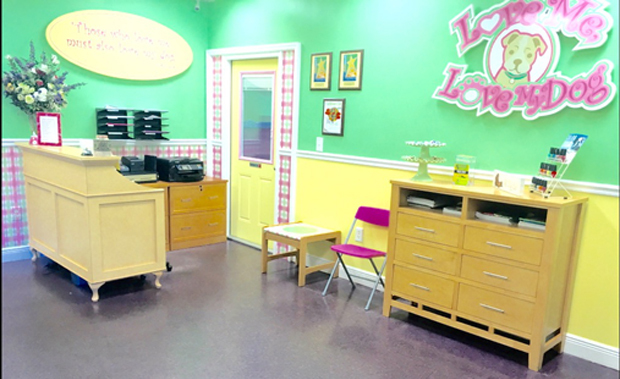 Our day care is large with an indoor out door area with plenty of room to romp and play and have fun! 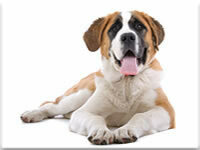 At Love My Dog Resort and Spa, the comfort of your pet is our passion. 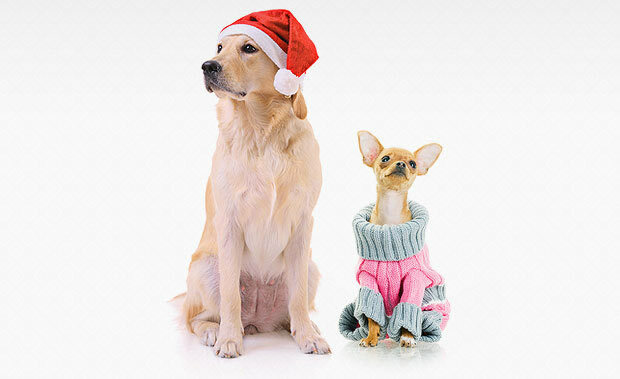 We offer two types of boarding – Luxury Suites & Canine Condos.24 hour surveillance monitoring. 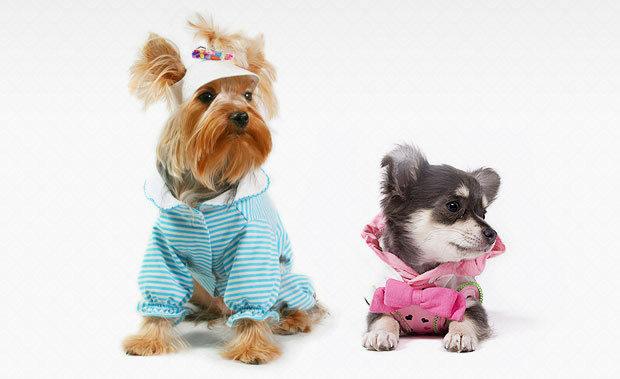 is to provide the ultimate experience for the pet and the pet owner. As a full service Resort and Spa, we seek to give the highest level of care and comfort. 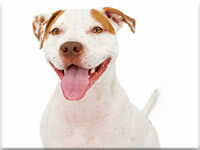 Our goal is to provide a fun experience for your pet, in a safe and healthy environment. Simply put, we want your pet to be...spoiled. state-of-the-art luxury dog resort and spa that offers Doggy Day Care and Dog Grooming Salon with luxurious overnight accommodations. We took special care in making sure that this facility boasts state-of-the-art everything…and we did it all for them! 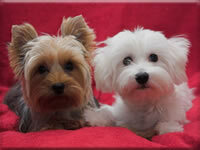 We offer it ALL; boarding, grooming and day-care. There is no reason to go anywhere else! 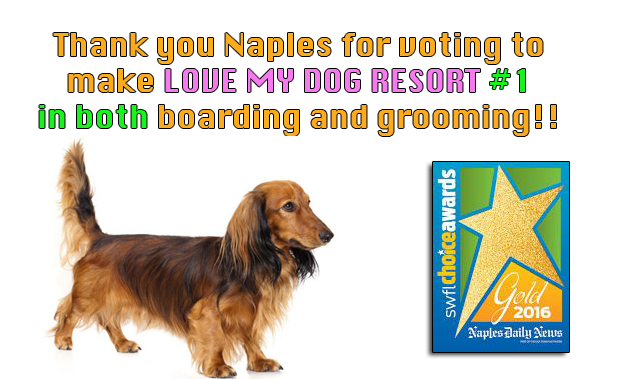 Love My Dog Resort and Spa has a 24 hour video surveillance so that you never have to worry ! We offer many different resort accommodations. We offer day-care play areas to allow our guests to get essential socialization and play time. 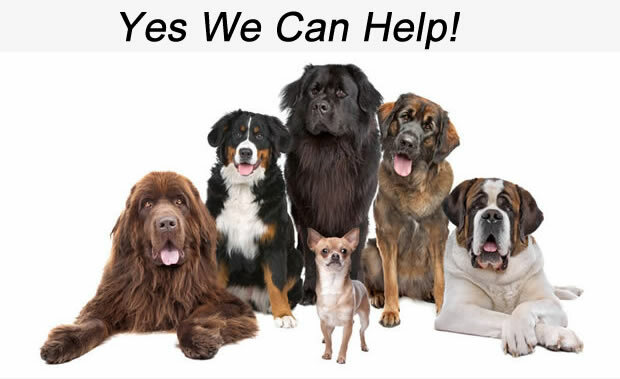 At Love my Dog Resort and Spa, we offer a full line of services to meet all of our owners needs including: Pet Sitting • Puppy Day Care • Dog Day-care • Pet & Dog Grooming • Dog Boarding • Pet/Dog Hotel • Play Center. on all our guests and never use cage dryers. Our day-care is bright and cheery with constant supervision. As avid dog lovers, we pride ourselves in treating all of our guests as our own pets . 2079 Pine Ridge Road. Just 1/4 mile west of Home Depot in the Hess Plaza. We look forward to your visit! 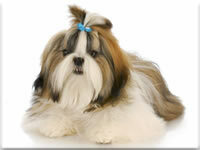 a full line of grooming services such as baths,haircuts and specialty services with master stylists.